Recently, I have started using a site called Hometalk. It’s like Pinterest, but for all things related to the home. Home decor, organization hacks, crafts and DIY for around the house and detailed tutorials. Another cool aspect of Hometalk is the ability to ask a question and have people with experience weigh in on the topic. So, if you were redoing the tile in your bathroom and needed to know how to cut a piece of tile in the corner, you could post a question to the entire community and get some answers from people who have been there! Before you click over to check out my board full of organization hacks, let me show you a general overview of how Hometalk works. 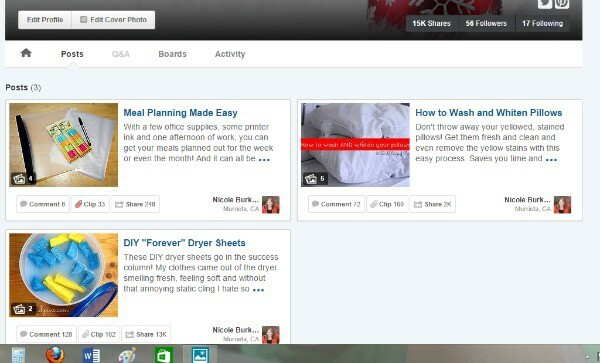 When you log on to Hometalk, there’s a home feed, much like Pinterest. After you create an account and fill out your profile, you can choose topics to follow like Christmas, home decor, home renovation, etc. Or, you can peruse “all posts” to see what’s out there. This is really an advantage over Pinterest. Because of the recent changes to Pinterest, you will only see pins that are promoted, already have high numbers, or are related to things you’ve pinned in the past. You DON’T get to log on and see the most recent pins anymore. Hometalk’s feed is still a live feed. If you clip something to a board, it’s going to pop up into the home feed right away. You can see in the photo above that there’s an option to comment, clip or share a post. “Clipping” is pretty much the same as “pinning” to a board. It takes that post that’s out on the feed and saves it to one of your clipboards. I am still very new to Hometalk, so I only have one board right now. It’s my Everyday Home Organizing board that I’m sharing with you today. As I find more cool things, I will clip them to my other boards. I want to check this out! I have just recently heard of hometalk so thank you for walking me through! 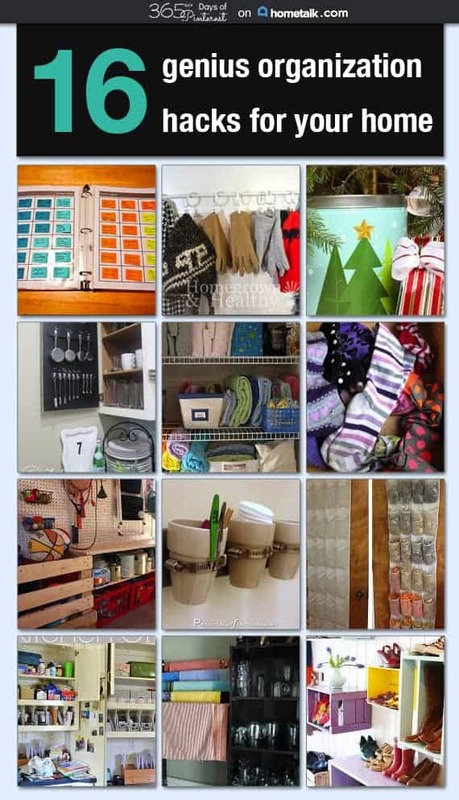 I will follow you and I just love these organizing tips. Thanks! It’s a great site and very easy to navigate. As a blogger, you really want to take advantage of the potential readers there! Lo-ove Hometalk. Such great ideas and easy to navigate. Nicole, I’ve enjoyed following your blog this year. I’ve been hesitant to join Hometalk, because it seemed like one more site to learn to navigate, but your instructions made it seem simple, so I signed up. Thanks, it looks like fun!